You may have seen Martin Cate igniting flaming bowls of fun on the Cooking Channel or entertaining attendees at Tiki and rum events around the world. 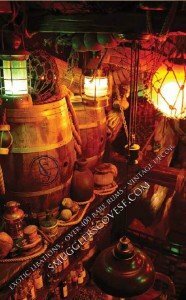 If you’re a cocktail or rum enthusiast, you’ve certainly heard of Smuggler’s Cove, his San Francisco lair that has redefined the modern rum cocktail and has been acclaimed as one of the world’s best bars, period. 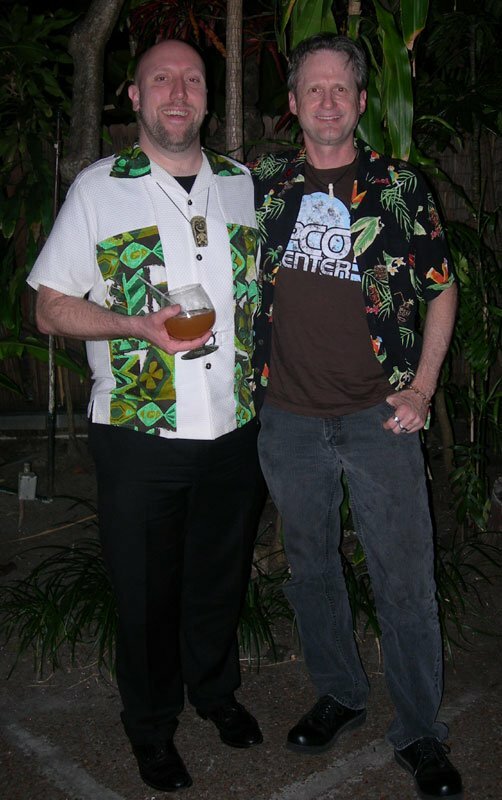 He’s also somewhat of a hero to the Tiki home bartending community, quickly rising from hobbyist on the Tiki Central message board to bartender at the Trader Vic’s flagship San Francisco location in 2005, to Forbidden Island, his first acclaimed Tiki bar in Alameda in 2006. He sold his interest there and opened Smuggler’s Cove in 2009. In April, while Martin was in South Florida for an appearance at the Miami Rum Renaissance Festival, we cornered him in the gardens at Fort Lauderdale’s Mai-Kai, one of his favorite places in the world to enjoy classic Tiki cocktails. Following is our latest “Take 5” interview featuring five random questions, plus a special bonus. 1. 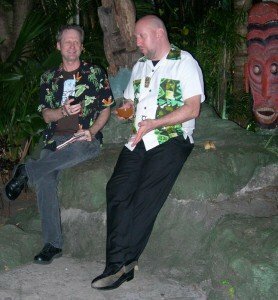 Are you a Trader Vic’s or Don the Beachcomber man, and why? 2. Will the current rum and Tiki renaissance last, and how can we make sure it does? 3. Is there any one drink or style of drink that you think is the perfect platform for Tiki and tropical cocktails? 4. First there was Forbidden Island, then there was Smuggler’s Cove. Do you see yourself reaching even greater heights? 5. 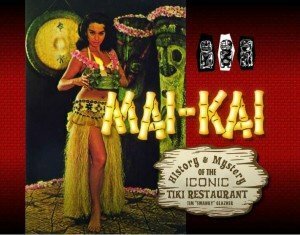 What’s your favorite Mai-Kai cocktail, and why? Enjoy Martin’s world-class cocktails at Smugger’s Cove, 650 Gough St. in San Francisco, or visit SmugglersCoveSF.com. As a special bonus, below are two of Martin’s signature cocktails. Also highly recommened is his punch recipe, perfect for crowds from one to 200. Shake with a heaping cup of crushed ice until the shaker is frosty on the outside. Pour unstrained into a double Old Fashioned glass. Top with more crushed ice and garnish with half of a juiced lime shell and a fresh mint sprig. Tasting notes: A twist on the classic Mai Tai, with Demerara rum replacing the traditional Martinique rum for a slightly sweeter and smoky flavor. Martin encourages you to use any premium aged rums to suit your tastes. * Bottled simple syrup is typically 1:1 sugar to water, not to mention often laden with high-fructose corn syrup, so it’s best to make your own rock candy syrup. On a stovetop, heat the sugar and water to just shy of a boil, then bottle and keep refrigerated. * Bottled orgeat syrups vary widely, so beware of cheap brands containing artificial ingredients. If you can’t find a suitable product, consider making your own. By the same token, there are many premium orange curaçao brands, so no need to use the cheap stuff. Swizzle all the ingredients with 1/2 cup crushed ice in a metal mixing tin and pour into a chilled metal cup or pilsner glass. Add more crushed ice to fill. 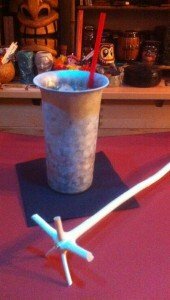 If you don’t have an authentic swizzle stick, feel free to flash blend for 4-5 seconds instead. Top with a pinch of freshly-ground nutmeg. Tasting notes: A high-octane and super spicy cocktail, yet very smooth … and therefore dangerous. A familiar take the Don the Beachcomber classic. * Instead of bottled simple syrup, try the same rock candy syrup you used in the Mai Tai above, or make your own 1:1 simple syrup. Honey syrup is simply equal parts honey and water, mixed and chilled. 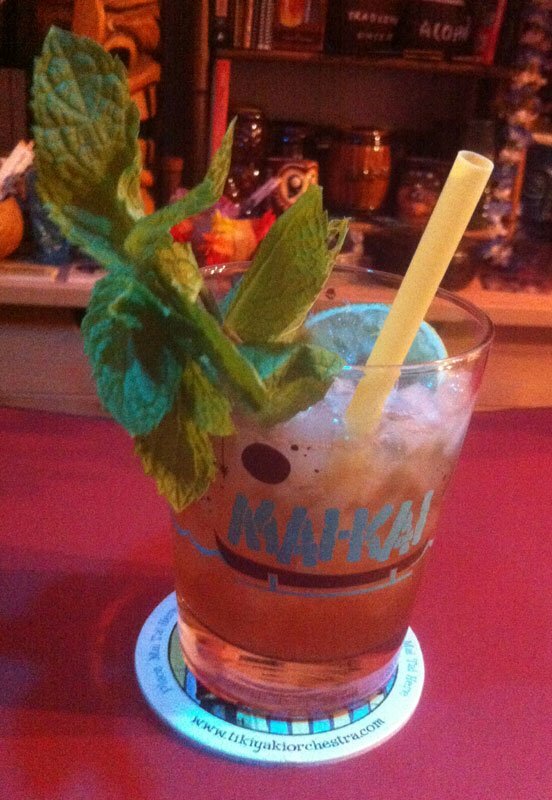 A 2:1 mix will produce a richer flavor, ala The Mai-Kai. * You can find many online recipes for homemade allspice dram, aka allspice or pimento liqueur. They entail quite a bit more work and patience than the syrups, so you may want to instead seek out St. Elizabeth Allspice Dram, the most commonly available brand. The Bitter Truth Pimento Dram is another option. If you’re lucky enough to find a bottle of the Wray & Nephew brand from Jamaica (aka Berry Hill), grab it. * There’s no substitute for these rums if you’re looking to make Martin’s distinctive Swizzle. For other 151 Swizzle recipes, click here. * How big a punch can Tiki Month take? This entry was posted in Cocktails, Cocktails, Culture, History, Mai-Kai, Recipes, Rum, Take 5 and tagged 151 Swizzle, 2070 Swizzle, Appleton, cocktails, Don The Beachcomber, Forbidden Island, Lemon Hart, Mai Tai, Mai-Kai, Martin Cate, Miami Rum Renaissance Festival, recipe, rum, South Florida, Trader Vic's. Bookmark the permalink.